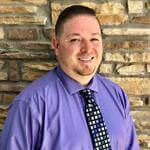 Joe has worked in the jewelry industry for the past ten years in both the retail and wholesale aspects of the business. Joe brings to Mark Diamond’s Jewelers great knowledge in working with clients and repairs. Joe is currently completing his coursework with G.I A. (Gemological Institute of America). Joe is also an Accredited Jewelry Professional, certified through G.I.A. In his free time he loves to play basketball and spend time with his family.